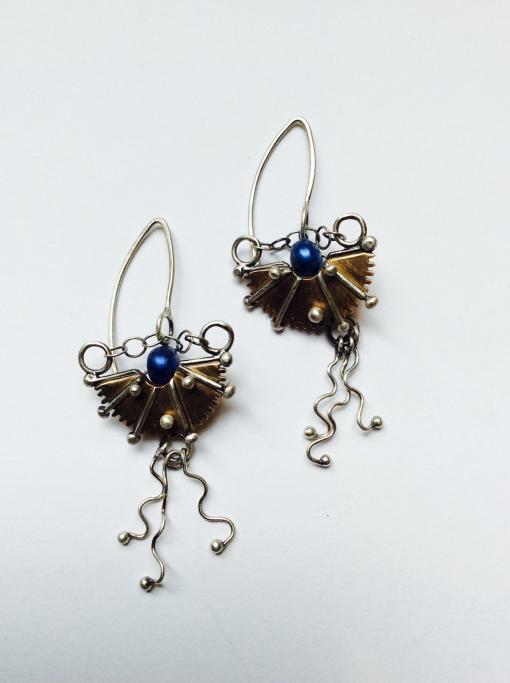 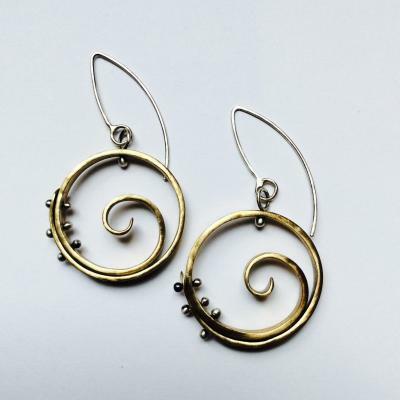 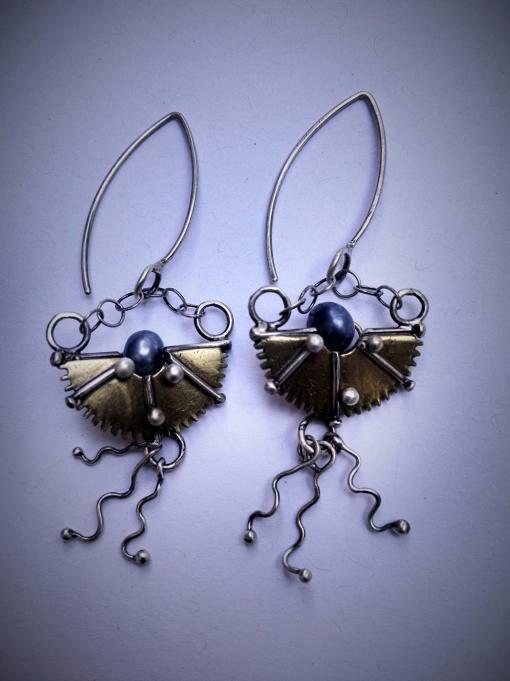 Reminiscent of the Egyptian Scarab, these earrings were brought to fruition after one of my adventures to Africa, yet also carry the edge of the industrial gear. 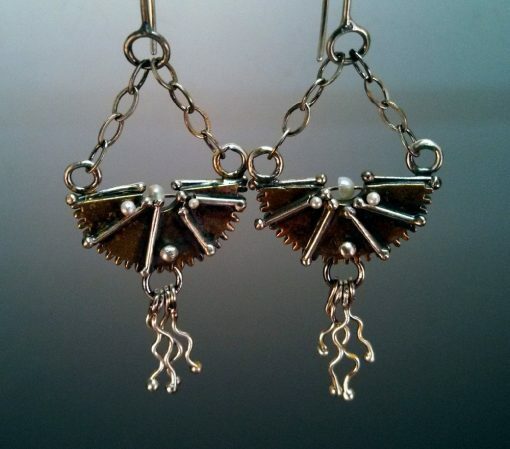 Argentium silver fused to brass or copper, with a tiny fresh water pearl accent in the center. 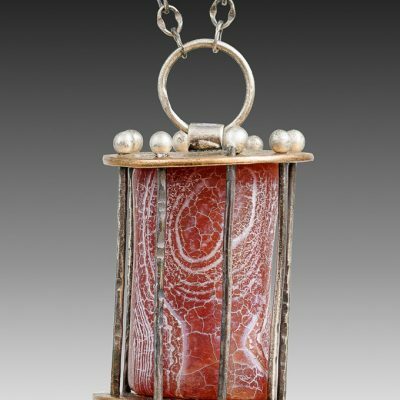 Approximately 2.25″ long, 1.25″ wide.